a box and stare at a box. You get the point. 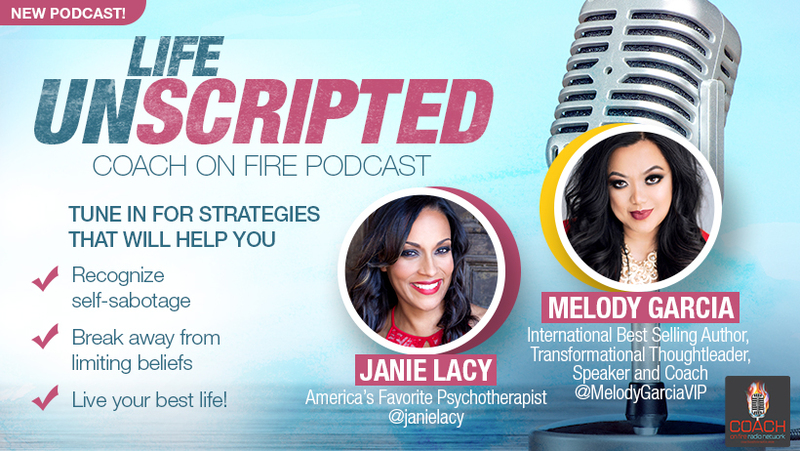 Life unscripted podcast will bring to you how to break out of self limiting beliefs deeply programmed, help you face your “fears” and feeling of being stuck, and break those scripts you’ve created or have been created for you. Our guests are some of the most influential and iconic in the world in their fields who broke their own “scripts” and will bring tremendous value to your life! 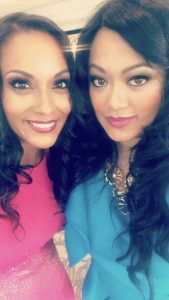 Join one of America’s favorite multiple award winning Psychotherapist, Janie Lacy along with the unstoppable force, transformational mentor, multiple award winning thought leader, speaker and international best seller Melody Garcia with an unforgettable podcast .. with you at the heart of it all. Dr. Marissa PEi, whose own podcast show titled “Take my advise, I’m not following it” has 140 MILLION downloads. Dr. Pei has a heart to heart conversation with Janie and Melody on her unscripted her life. She talks about the voices in the past, the cultural restraints she had to break through, shaming she experienced, and how she attained her own “celebrity” status by finding herself among the A-listers. Find out what led Len Branson to meet the Dalai Lama, other iconic figures, and how music was his first calling.. oh and about the “other famous Branson” -any relations? How did he unscript his own life? Internationally known in the news journalism industry, formerly of Fox News Channel ( Fox and Friends/ America’s News Headquarters, etc) Mr. Kelly Wright. He talks about some of the hard truths of discrimination, the relentless pursuit of freedom, his current platforms & more heart and soul hitting topics.